November 8, 2016: What Happens After Death? July 19, 2016: What Creates Evil? July 19, 2016: What is Creation? August 11, 2015: Who Are the Allies of Humanity? August 29, 2014: What is Human Purpose? August 19, 2014: Where Will You Place Your Faith? March 24, 2014: Who is Jesus? March 24, 2014: What is Grace? March 24, 2014: How is Knowledge translated in the Greater Community? 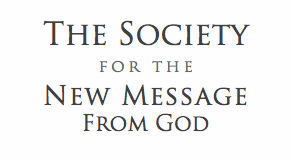 March 24, 2014: What is The Greater Community Way of Knowledge? March 24, 2014: Where can Knowledge be found? March 24, 2014: What is Religious Education and who is it for? March 24, 2014: What is religion? March 24, 2014: What is Human Destiny? March 24, 2014: How does revelation occur in human life? March 24, 2014: Who are the Unseen Ones? March 24, 2014: Who Serves Humanity? March 24, 2014: What Must Be Unlearned? March 24, 2014: What Must Be Avoided? March 24, 2014: What is the evolution of religion in the world? January 24, 2011: What is Steps to Knowledge? January 12, 2011: Whom Will You Meet? January 11, 2011: What is your preparation for? January 10, 2011: How Do You Prepare? January 9, 2011: How does God participate in the world? January 8, 2011: Who is Wisdom meant for? January 7, 2011: How is Wisdom achieved in life? January 6, 2011: What is the Greater Community? January 4, 2011: What is Knowledge? January 3, 2011: What is Life Force? January 1, 2011: What is God?